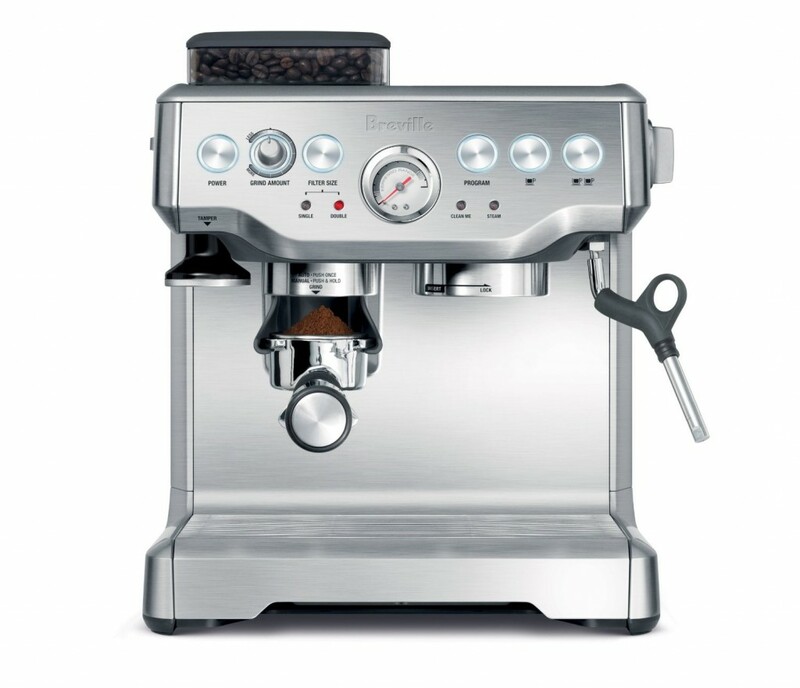 What is The Difference Between an Automatic and Super-Automatic Espresso Machine? Push-button features. You’ll find a button for each feature that will do everything for you with a single push. Built-in grinder with grind type selector: choose your espresso shot size and your preferred grind and it will grind only as much needed for your espresso shot. click here if you want to learn more about this machine or buy it. Like we previously mentioned, an automatic machine, while it does most of the work for you, it will still require some work on your part. A super-automatic machine requires NO work on your part, whatsoever. Well.. you’ll have to place your coffee cup in the tray and push a button, but that’s about it! A super automatic always has a built-in grinder that freshly grinds your coffee just before brewing. Some of them include a milk tank that also froths milk automatically and pours it into the cup for the perfect cup of Cappuccino or Latte. If you’ve already done the research, you’ve probably seen a wide range in prices for super autos, and there’s a reason for that of course. On the lower end, a super automatic will perform everything automatically, but you’ll notice the difference in the control panel of the machine. It will have many buttons for every espresso shot size and a dial for control of coffee grind… such a machine can set you anywhere from $500 to $700. A high-end super automatic will mostly have a dedicated button for each coffee drink (espresso, cappuccino, macchiato… etc.) Depending on the brand, it will most likely have an LCD display for easy controlling of the machine, and it should have a detachable milk tank as well. Built-in conical burr coffee grinder. LCD display. Dial knob control. Auto cleaning after every use to keep the machine clean and ready for use all the time. Programmable settings for “tailor made” drinks made to your taste. Steam wand also works as a hot water dispenser. 275g bean hopper sealed to keep beans fresh. 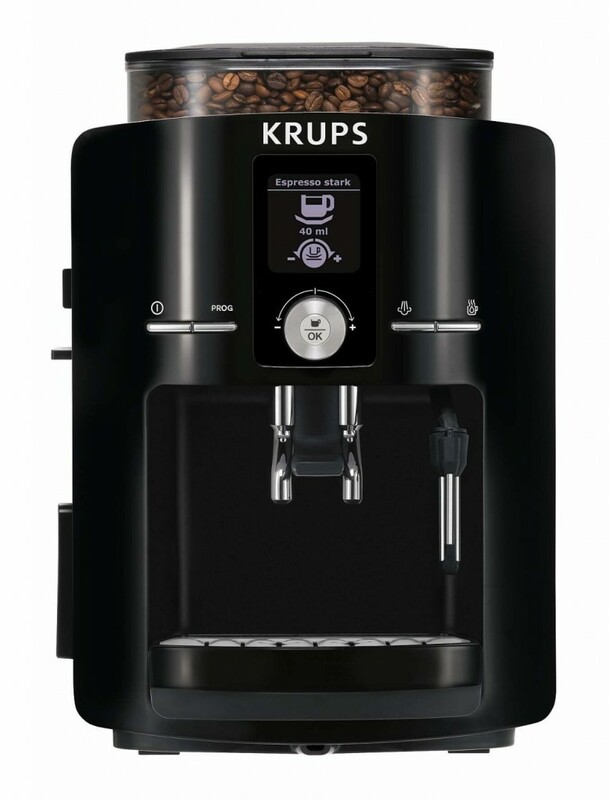 Includes KRUPS Auto Cappuccino system, water filtration system, cleaning tablets and descaling powered/liquid. Click here to learn more about this machine or to buy it. So now you know the difference between an automatic and a super automatic espresso machine, we hope you’ll be able to find which one is best for your needs!